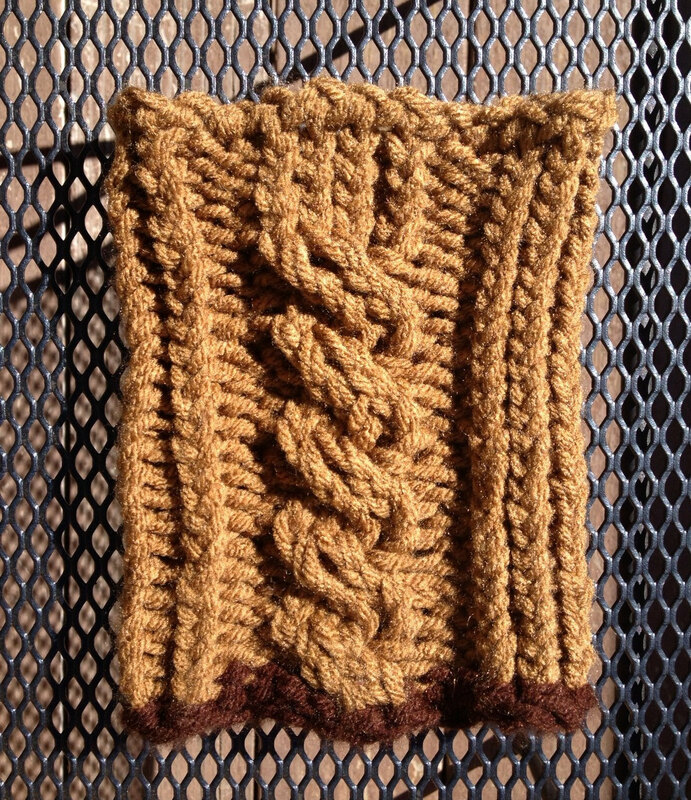 If you’ve never tried knitting cables on a loom, you need to try this pattern. This is a great introduction to knitting cables as it uses the simplest cable pattern and explains it fully. The only stitches you need to know are the e-wrap knit and the purl. This pattern is suitable for an advanced beginner. 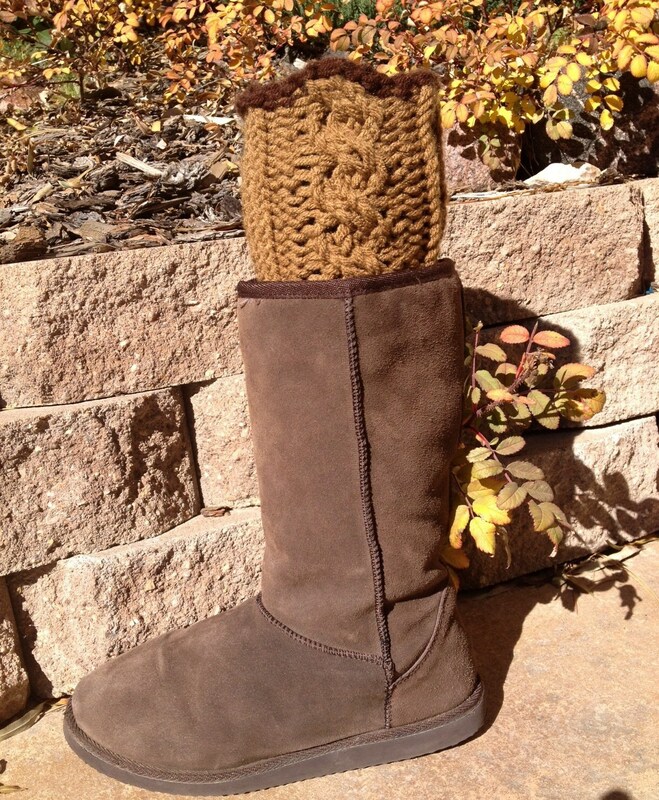 And if you’re an experienced loomer, you’ll appreciate how quickly you can knit up this classic look in a boot topper. This pattern includes instructions for a youth/juniors size (unstretched width of the topper = 5”) using the blue Knifty Knitter 24 peg round loom and a ladies/plus size (unstretched width of the topper = 6.5”) using the red Knifty Knitter 31 peg round loom. 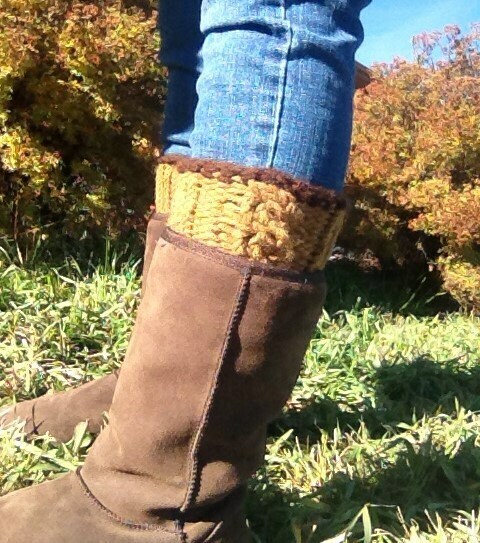 The boot toppers were knit using approximately 250 yards of a worsted weight yarn.